Buy one get one during the month of August! Click here to print coupon. Buy One Bus Tour Ticket at Regular Price and Get a Free Bottle of Water. Limit 2 per family. Cannot be combined with any other offer. One coupon per family per visit. Expires 8/31/18. 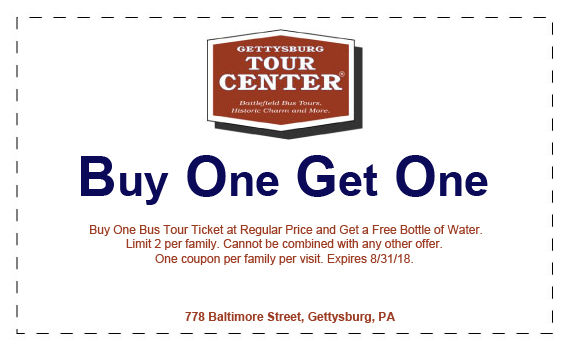 Posted in Blog, Coupons and tagged August Gettysburg Coupon, battlefield bus tour, coupon on July 27, 2018 by Gettysburg Battlefield Tours.